Dried Pink Lotus flowers have relaxing, sedating, mildly euphoric effects. They’re perfect for a calming tea. Or you can experiment with drinking Pink Lotus Egyptian style, soaking the flowers in a bottle of wine. 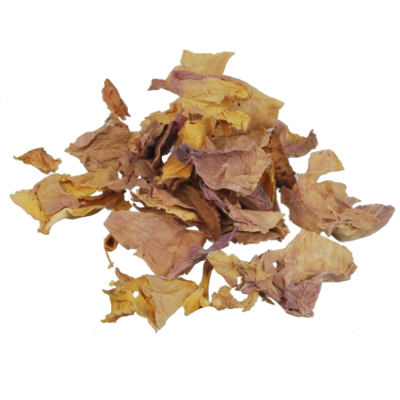 Contains 20 grams dried Pink Lotus Flowers. 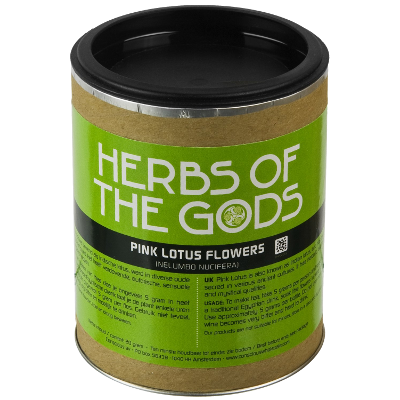 Pink Lotus Flower have relaxing, sedating, euphoric effects. For this reason, some people use it before going to bed, to fall asleep easily. In high dosages, it also has hallucinogenic properties. Pink Lotus Flowers contain the alkaloids nuciferine, aporphine and armepavine. 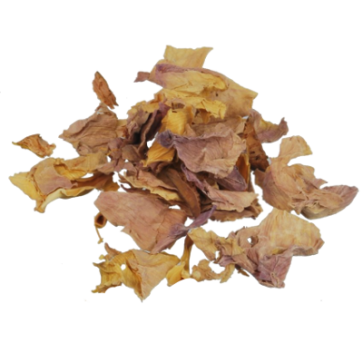 For a Pink Lotus tea, seep about 5 grams of dried flowers in hot water. Add honey to taste. A traditional Egyption drink consists of soaked Pink Lotus Flowers in wine. Use about 5 grams for one bottle. Soak the flowers for several hours. Don’t use too much, since the wine tends to get bitter and unpleasant quickly. Some people smoke Pink Lotus in a joint combined with tobacco. Pink Lotus Flower (Nelumbo Nucifera, previously known as Nymphaea Nelumbo) is also known as Sacred Lotus. Pink Lotus Flower belongs to the Nelumbonaceae family, which is sometimes referred to as the sacred lotus family. The lotus family is often confused with the lily family Nymphaea (known for Blue Lotus), but genetically these families are very distant relatives. Pink Lotus is found in warm and tropical regions of Asia: from Iran to China, Japan, Indonesia, and Northeastern Australia. The sacred lotus has captured people’s imagination for thousands of years. For Buddhists, the Pink Lotus is a sacred plant. The flower symbolizes purity, cleanness and beauty, because its beauty arises from the dirty, dark mud of swamps and marshes. In Buddhist art and architecture, the most venerated gods are often depicted sitting on a lotus flower.